Poltergeist Rerelease / Thompson Distribution / Warner Bros. 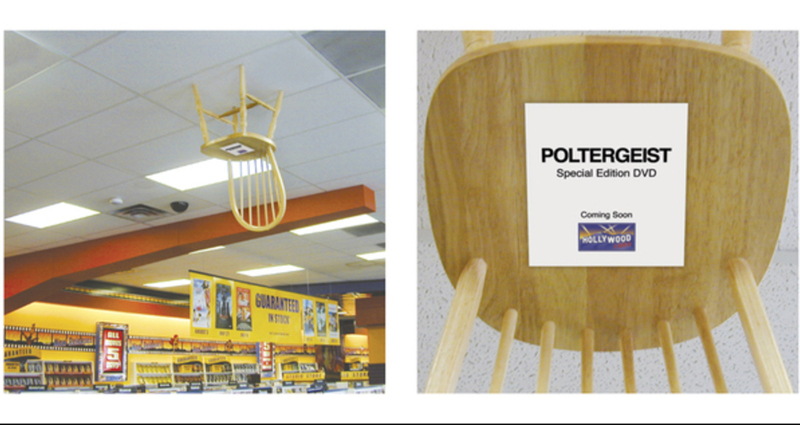 Alternative Media to promote the release of the Poltergeist 20th Anniversary DVD. 1. Chairs attached to ceiling tiles in horror sections of HollyWood Video stores. 2. 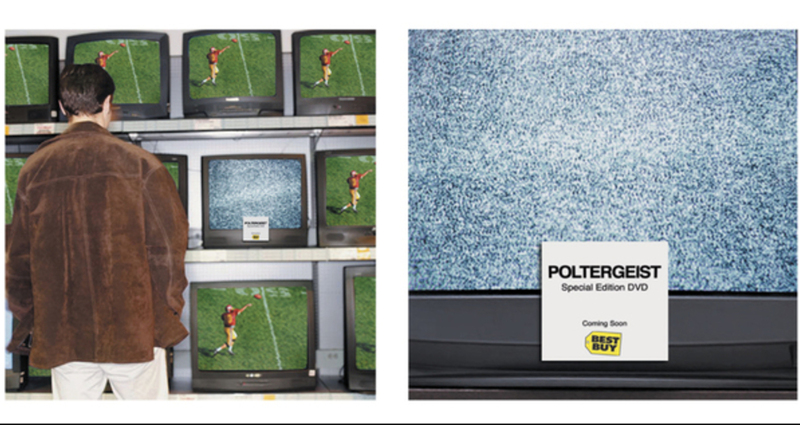 Select screens turned to static in television sections of Best Buy stores. Thompson Distribution / Warner Bros.